Loved family bird lost around 8:30am on 3/1/14 in Beecroft near Hull Rd. 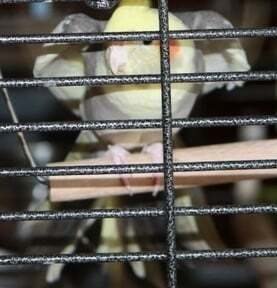 She has a yellow crest, yellow/cinnamon/white body. She was in the area for a few hours but we weren’t successful in helping her find home. If u have seen her or if she has come to you for help please contact me so she can be reunited with her dad.